NHK Footage is also available through Getty Images(http://www.gettyimages.com). 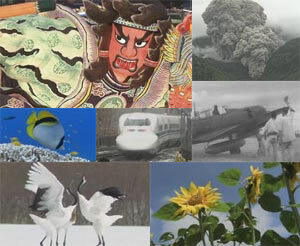 The collection includes nealy 10,000 carefully-selected NHK clips captured on High Definition camera, everything from the four seasons in Japan to the moment of natural disasters. For orders & inquiries, please contact Getty Images. Global digital media company Getty Images to bring renowned Japanese public broadcaster NHK’s premium, award-winning content to the world.